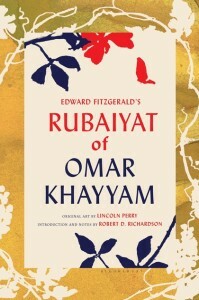 A work of staggering poetic beauty that has inspired the likes of John Ruskin, T. S. Eliot, and Robert Bly, The Rubaiyat of Omar Khayyam was written in eleventh-century Persia and was largely unknown in the West until it was translated into English by Edward FitzGerald in 1859. In FitzGerald’s hands, the individual Persian quatrains of the original coalesced into one of the most moving and often-cited modern poetic statements about loss, longing, and nostalgia. As Robert D. Richardson notes, The Rubaiyat is startlingly modern in its outlook and composition, and through it, one civilization speaks to another as equals and across a gap of almost a thousand years.